As some one who has owned a hundred domains and managed them across different servers once upon a time, I had good knowledge of the shared hosting industry. 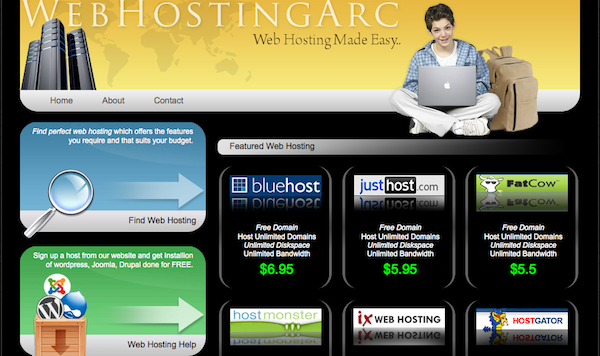 Web hosting arc is a simple listing and search web hosting services. This also acted as a gateway to talk to potential customers, where I offered system administration services, such as moving domains off servers, software installation, site optimization etc. This website was also auctioned on flippa.com and I received bids in the lower four digits, after just months of launch. Built using PHP, Mysql and JQuery.